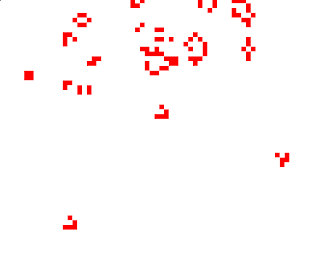 I am proud to present my latest creation LOGIN or NIkhil's Game Of Life, my very own Conway's Game of Life simulator. Written in C++ using SDL. I wrote it mainly to learn SDL and because I truely enjoy life. Currently it only runs on Linux. Read the README file in the package for instructions on installation and usage. It follows original Life rules and there is no support for reading or writing Life files. LOGIN runs in 2 modes. One is when the program is running but the game is not. In this state you can do the following. Press 's' to start the game.